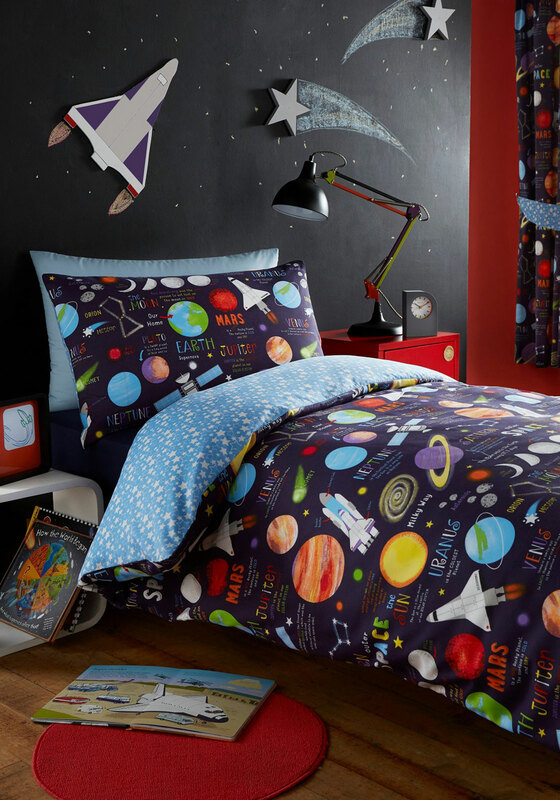 These curtains from Kids Club are the perfect match for the Planets duvet cover set. Your little one will love spending time in their space inspired bedroom. 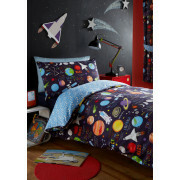 Made from fully lined cotton blend material with numerous planet and spaceship prints throughout. Designed with a pencil pleat header and includes tiebacks.